QUALITY TOWERS. SUPERIOR FABRICATION. EASY INSTALLATION. NO SURPRISES. Thank you for your interest in American Tower Company in Shelby, Ohio. Since 1953 our staff has been committed to providing quality, American-made tower solutions suitable for a variety of applications including residential and commercial towers, HAM radio towers, WiFi towers, light towers, solar energy towers, roof mounted antennas and more. Amerite Towers are constructed with top-quality steel using state-of-the-art manufacturing techniques, providing you with a product that you can count on for many years of reliable service. A commitment to quality and customer satisfaction has made American Tower Company a leading designer and manufacturer of communication towers of all types. We understand that little problems can make the tower installation process difficult, which is why we have instituted a policy of inspecting each tower before it leaves our facility to ensure proper hole alignment and an easy installation. Amerite Tower guarantees all materials and workmanship to be of the highest quality. By implementing improved manufacturing processes, Amerite Tower now fabricates towers in anticipation of your order, allowing us to deliver your tower order in approximately 1 weeks’ time. 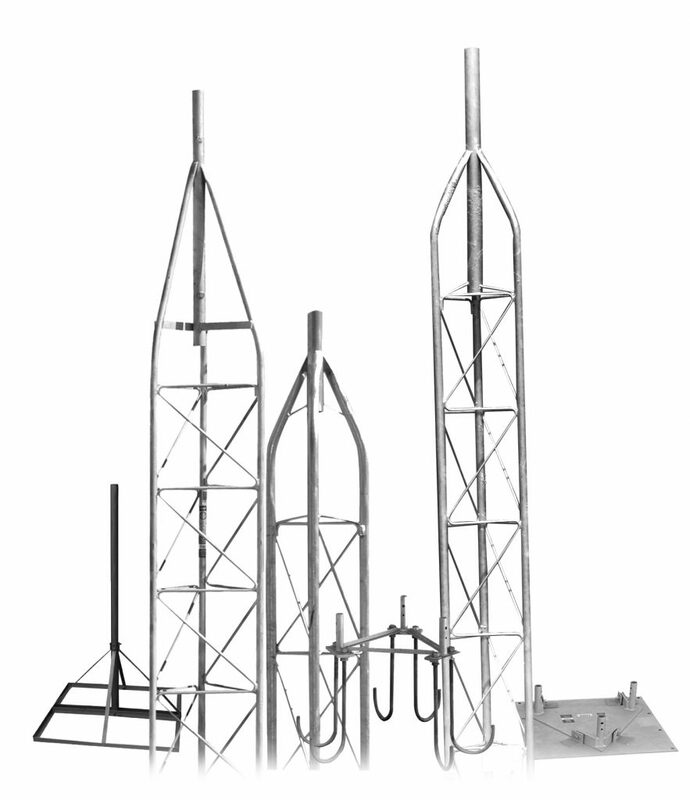 In addition to our catalog of towers, American Tower offers custom fabrications and complete design services. Special finishes including Powder Coating, FAA Paint & Galvanizing are also available. American Tower Company has been an industry leader in design and manufacturing of residential and commercial communication towers since 1953. We pride ourselves on providing personal attention, easy to assemble products, and the best value in the industry.